The newly renovated Super 8 in Dartmouth, NS is just minutes off of Highway 102. 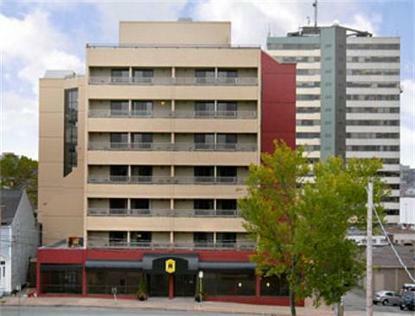 The motel is located in downtown Dartmouth and is minutes away from restaurants, entertainment and recreational facilities. If you love the water, come and see the beautiful Harbor view from the motel While enjoying your stay at the motel, enjoy such amenities as Free SuperStart Breakfast (served fresh daily), Free Local Calls, Expanded Cable TV with On-Demand Movies. All rooms include an iron, ironing board, mini-refrigerator and microwave, alarm clock, hairdryers and Free High Speed Wireless Internet Access. The motel is 80 percent smoke-free and accepts pets. The staff prides themselves on sterling service and look forward to "Seeing You Along the Way"